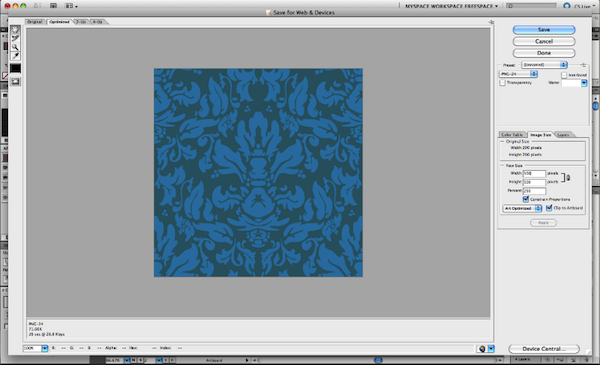 GFX9.COM share Quick tip: create a damask pattern using the madpattern illustrator template, you can download now. 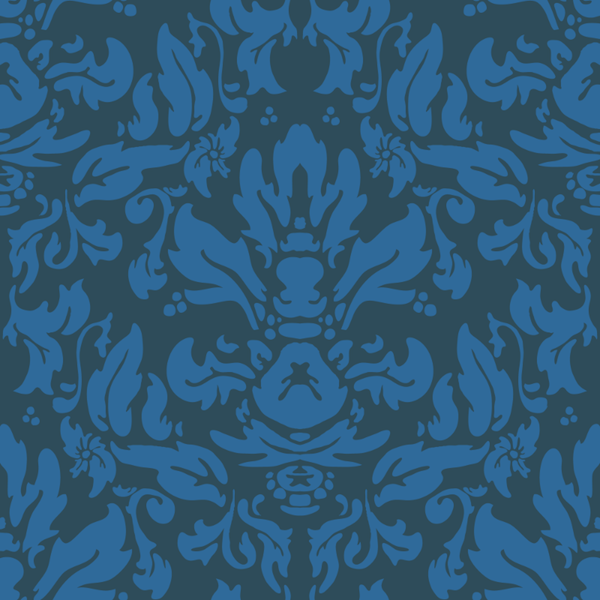 Damask is a style of pattern that is easy to recognize, but not so easy to replicate. 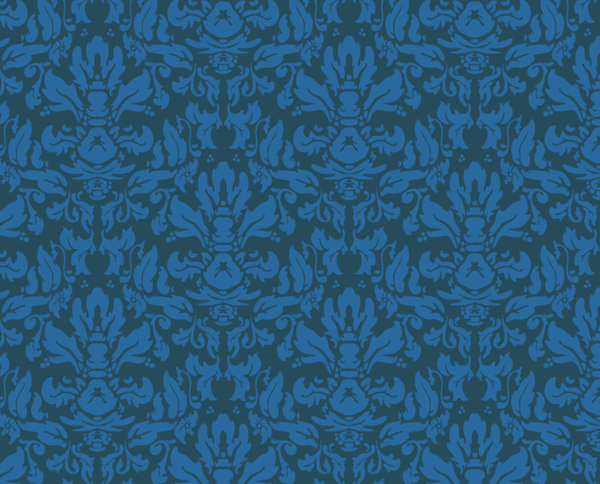 In this tutorial you will learn that with the right tools, anybody can make their own damask pattern that looks just as good as the ones you see on fancy hotel wallpaper, with the help of a template file. Notice how anything that lies along the right edge of the white triangle gets mirrored, and anything that lies along the bottom left edge of the white triangle gets mirrored and moved vertically (so that it appears at the top left edge). Noticing these features is what gives you the power to create this type of pattern. 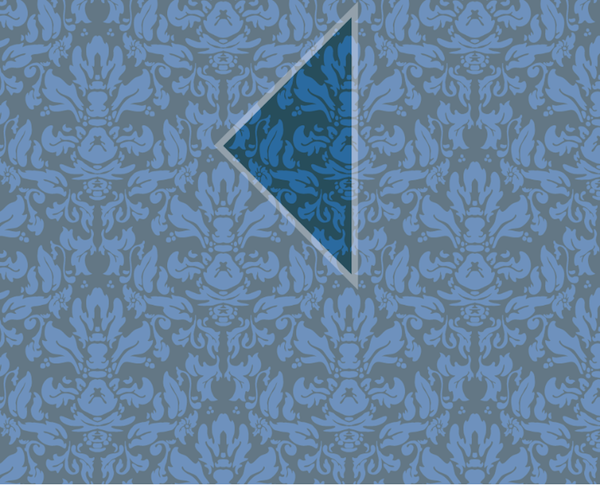 Note that there is one more component to the damask style, and that is the floral element. This is a bit harder to explain in words, but the important part to understand is that everything you draw should have nice french curves that appear to grow/emanate from one point (giving the quality of a leaf or petal). With a little practice, anyone can master this. Begin by going to file > new from template and open the template from the "madpattern 1.0" folder entitled cm.ait. 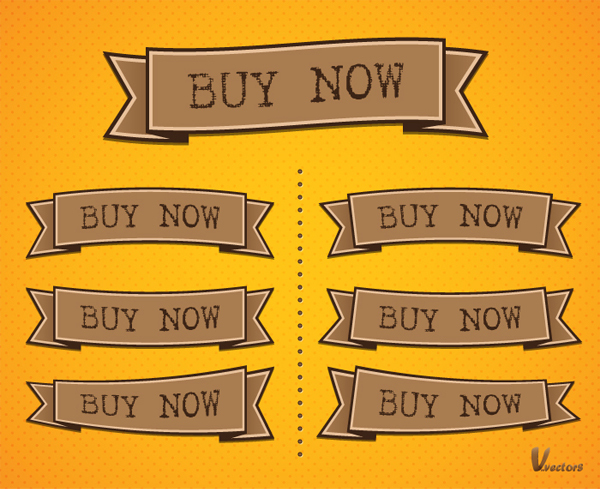 When you load up the template, it has a few extra features turned on for beginners, we can turn those off. 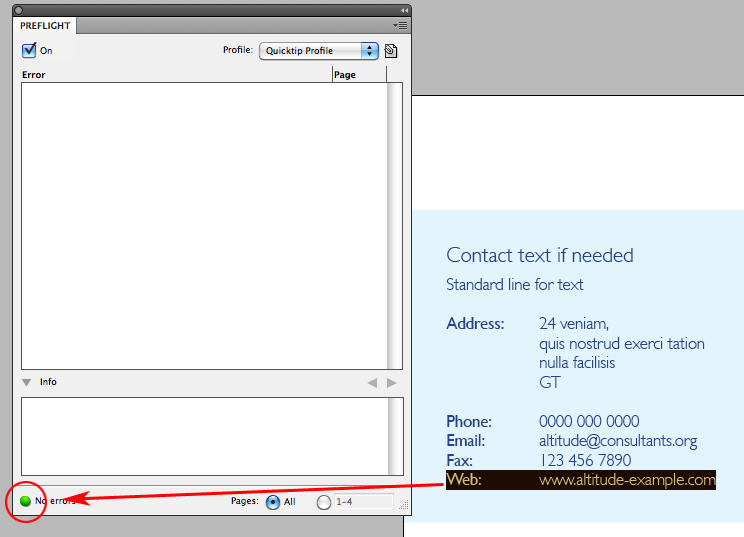 Turn off the two layers at the bottom of the layers panel ("Template Elements" and "Info"). Now on the screen you should see a triangle towards the top left. Zoom in on this triangle, this is where we will spend all of our time drawing. There will be two main components to this drawing, the part along the right edge of the triangle and the part along the bottom left edge edge of the triangle. Lets start with the right edge (the mirror plane). 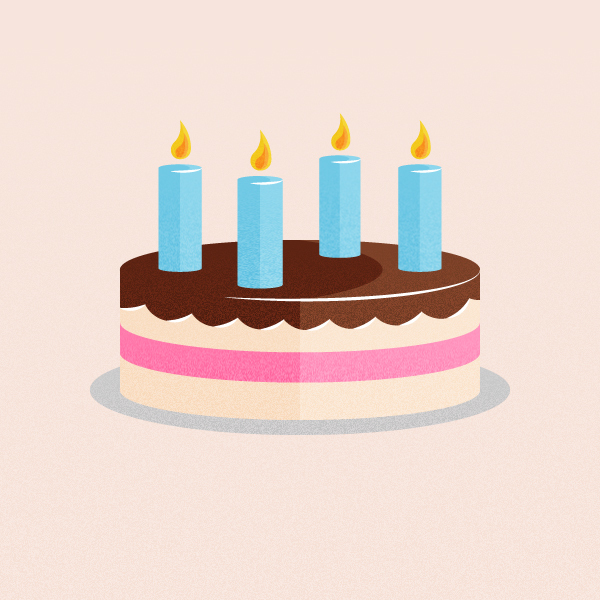 Select the "Clipped Elements," then choose the pencil tool and change the appearance so that the fill is set to any color, and the stroke is 0. Begin by drawing a few lobe shapes that intersect with the right edge of the triangle outline. 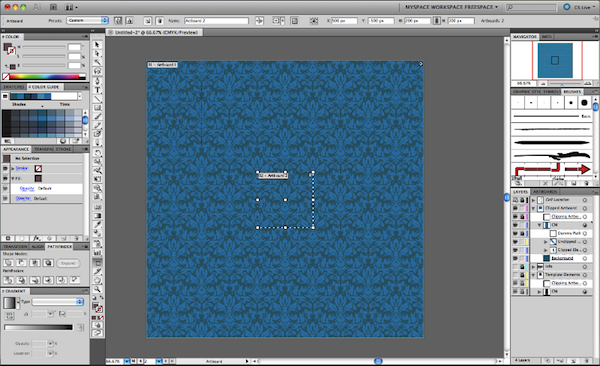 You will see that when you let go, the template automatically fills in the pattern. next draw some floral shapes emanating from the lobes that you just drew. 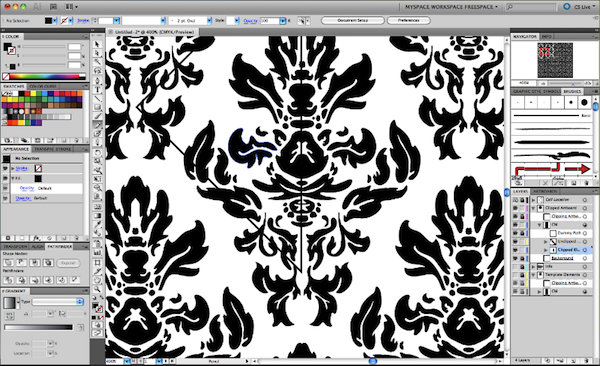 It's important to notice as you go how your pattern looks cooler than what you are actually drawing. It's likely that just after a few shapes have been drawn, your pattern is already starting to look like a damask. When you are satisfied with this set of shapes, it's time to move on to the bottom left edge. 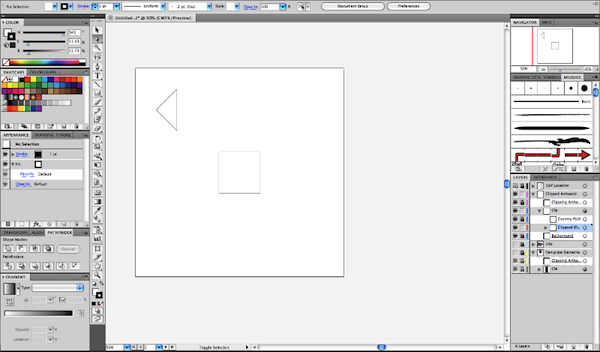 Notice that if you draw a shape that intersects with the bottom left edge, it gets clipped off. 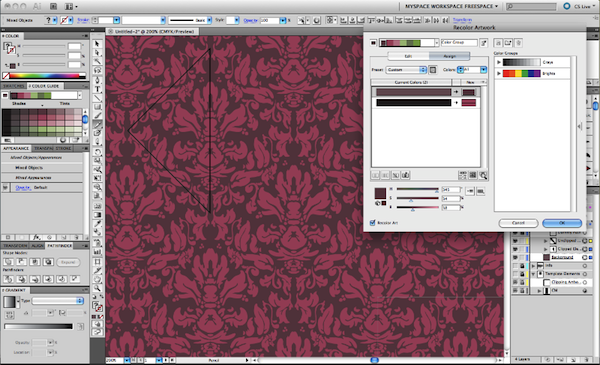 I set up the templates this way because illustrator has a few quirks with it's transform function, but luckily with damask patterns (because they are two toned), there is an easy workaround. Make a new layer that is adjacent in the stack to the "Clipped Elements" layer. Label it "Unclipped Elements". Now when you draw in this layer, the artwork will not be clipped along the edges, and it should be easier to focus on the design. Start drawing floral elements that flow along the bottom left edge of the triangle. Now that our design is finished, its time to worry about colors. 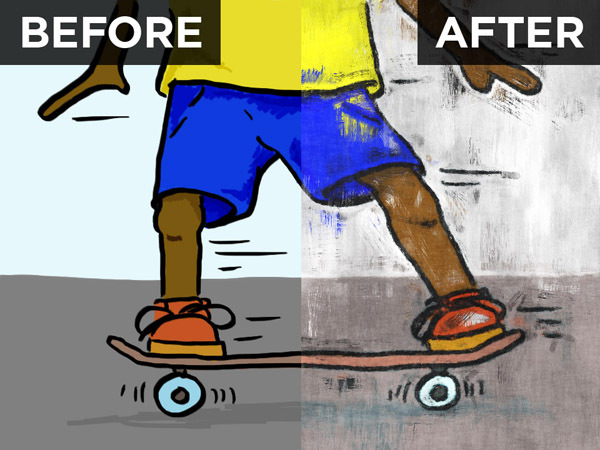 select the "Background" layer and give it a random fill color. 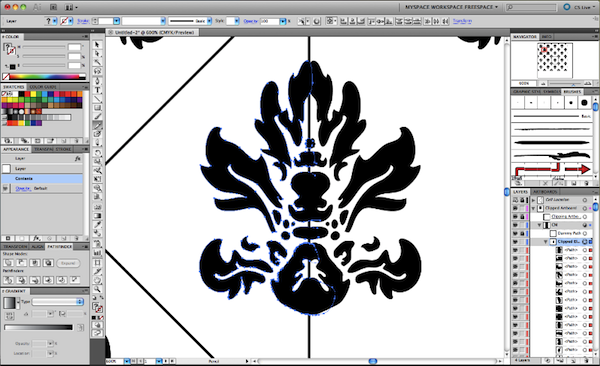 now target the "CM" layer as well as the "Background" layer and open the "Color Guide" panel. Click the Edit Colors icon in the color guide panel and it will pop open a dialog that gives you complete control over the colors of your pattern – I find it to be the best tool for designing color schemes (note that the color guide automatically ignores black and white, so you might have to click in the New column to force it to adjust those). Select the color you want to change and then adjust it at the bottom of the panel. Note that you can also click Randomly Change Color Order to randomly assign colors to your pattern, and there are also many other cool things you can do using the Color Guide panel. once you are happy with the colors you have chosen, click ok, and now it is time to save your repeating tile. 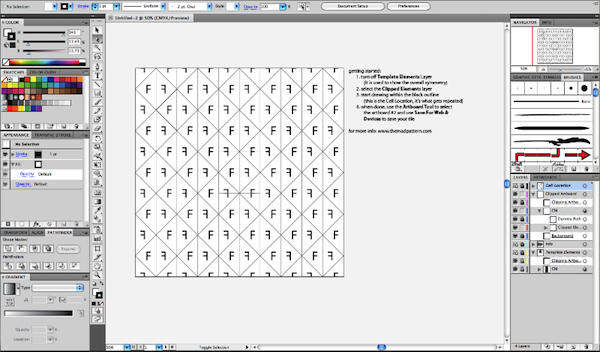 The templates come with an artboard that is already set up with the right dimensions of the repeating tile. 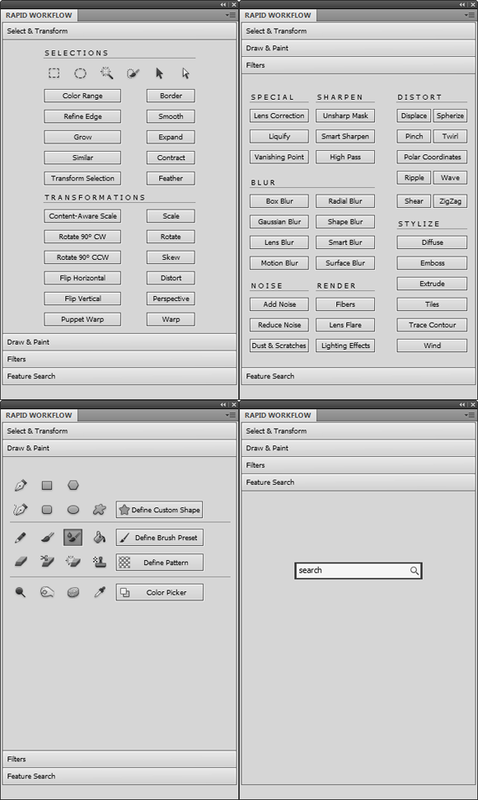 Select the artboard selector tool and then select 02 - Artboard 2. 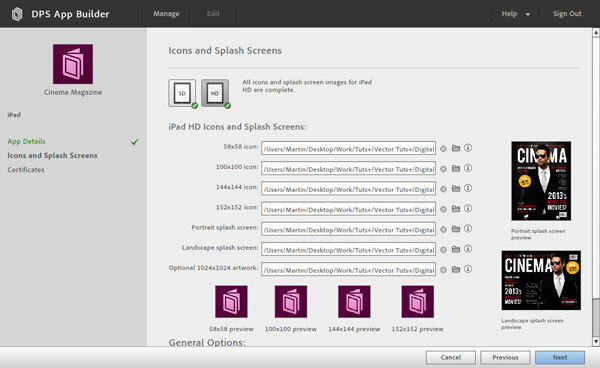 Go to file > save for web & devices and when the panel pops up choose the Image Size tab on the right and make sure you have Constrain Proportions and Clip to Artboard selected. 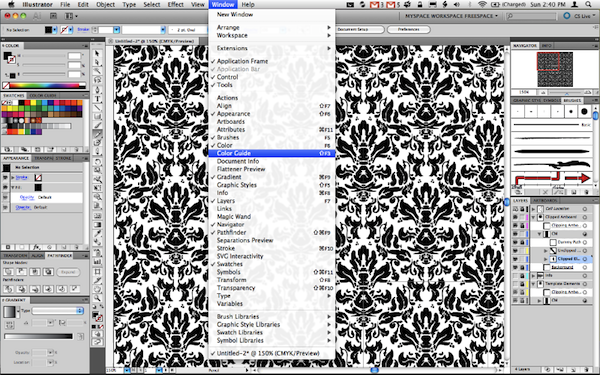 Here's the best part, you can choose any size to export your tile to. 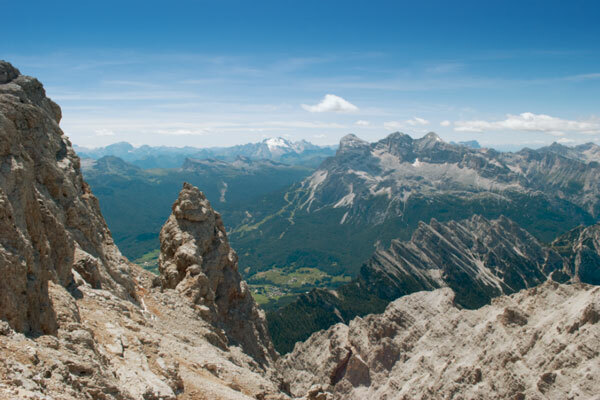 That means you can export a smooth high resolution image that could tile a billboard, or an image that could tile the background of a website, you get to decide. 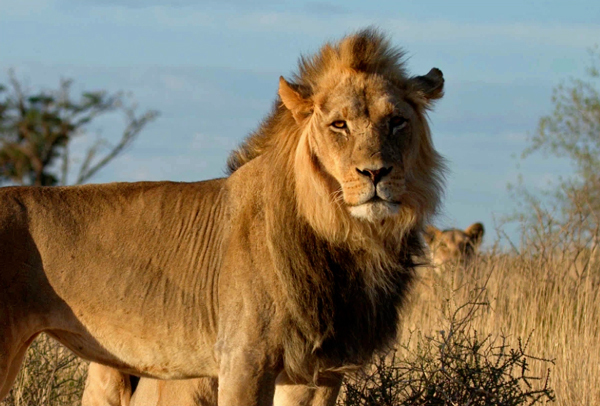 After you enter in the size that you'd like to export at, click Apply, and then Save. 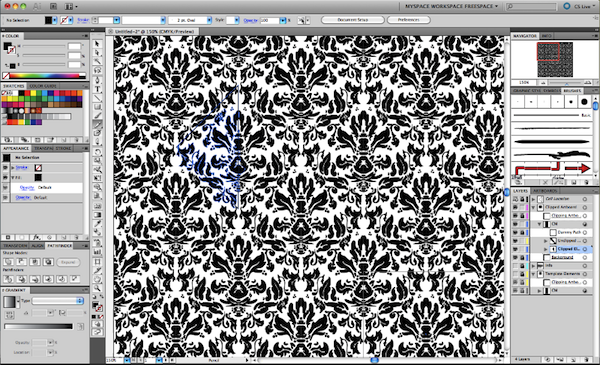 You've created your first damask pattern tile. So there you have it, a simple way to make complex patterns. Once you've finished you can upload the patterns you make to the The Wallpaper flickr group.